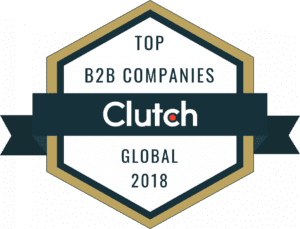 As a Microsoft Dynamics 365/CRM Administrator, your organization relies on your expertise to ensure that user adoption is high and that the company is seeing the greatest value and return on investment possible from Dynamics 365/CRM. 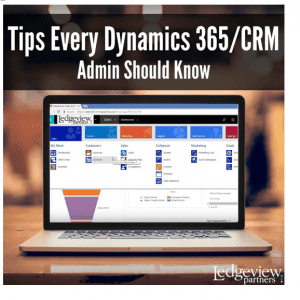 In this upcoming webinar, which is based on a very popular session from Ledgeview’s 2017 CRM Conference in Milwaukee, WI, we will cover a series of “Top Tips” that every Dynamics 365/CRM Administrator should know. Any deep dive training for Admin’s would cover several days, but in this 45 minute webinar, certified Microsoft Dynamics experts will be sharing some of their favorite tips and best practices on Auditing, Data Management, Cascading Rules, Specialized Fields, Solutions, Read-Only fields, XRM Toolbox and much more. So whether this is your full time role or another ‘hat’ that you get to wear in your organization, we will help you succeed with resources, tips, best practices and overall wizardry that every Dynamics CRM Administrator should possess. This webinar will be recorded, so if you cannot attend live, register and you will receive a copy of the presentation on-demand after the live session.